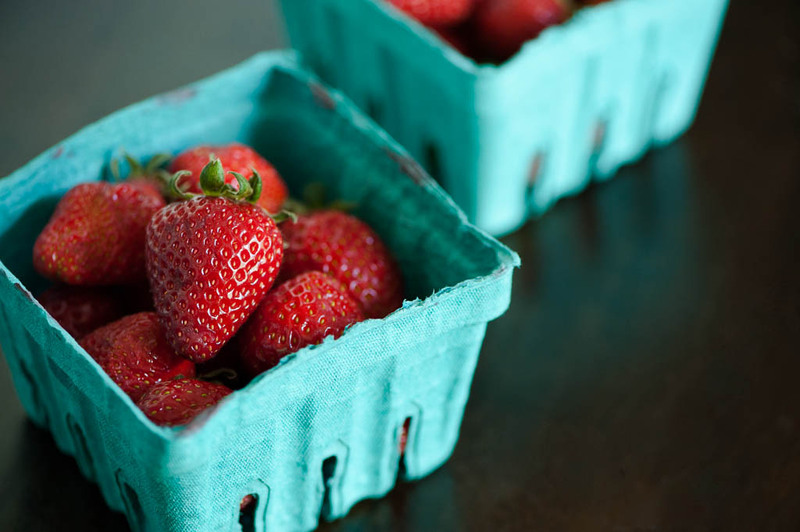 Throughout strawberry season – which lasts all summer in Oregon – our kitchen is rarely without a few tiny blue baskets of strawberries. I usually reserve one carton simply for snacking on, while saving the others for transforming into breakfast or dessert: jam, pancakes, a macerated topping, or my two perennial favorites, strawberry shortcake and strawberry rhubarb crisp. We recently bought The Blue Bottle Craft of Coffee. I’ve only just begun paging through the detailed content and need to carve out a block of time to read the actual sections about coffee. However, my main impetus for buying the book, along with my enjoyment of their coffee and respect for their business, was the recipes located at the back of the book. Photographer Clay McLachlan achieved the effect that all food photographers desire their work to have: I immediately wanted to go home and start baking. And the recipe I mentally thumbed down before even leaving the bookstore was their strawberry buckle. 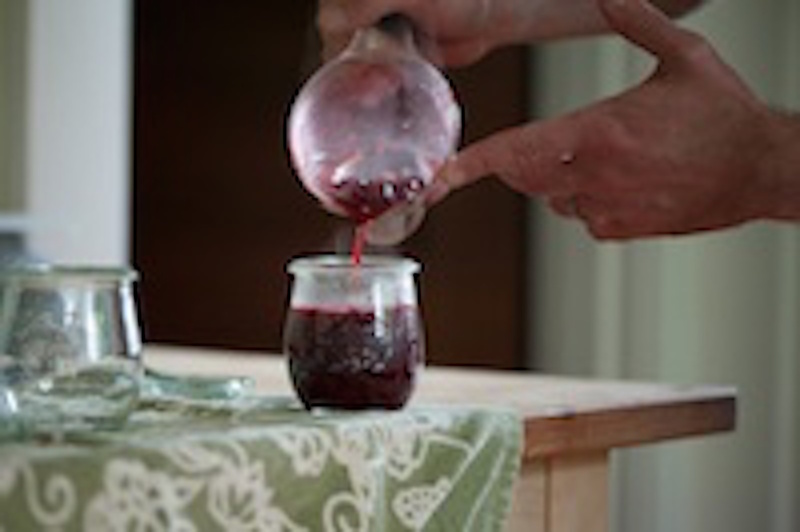 I was captivated by the photo of a lovely scalloped pink plate nestled in the palm of someone’s hand; the first bite is speared on the fork, mere seconds away from being consumed. As Blue Bottle’s head baker Caitlin Freeman describes it, a buckle is basically a coffee cake with fruit incorporated into it (or in the winter, squash). The name buckle makes literal sense when you cover the top of the cake with enough streusel topping: during baking, the streusel will cave into the center of the cake, making the cake “buckle". My attempt at creating a buckle didn’t achieve this gloriously messy image of streusel and baked strawberries; in fact, my buckle didn’t rise nearly as high as the one in the photo. (A direct result of my impatience to make this dessert: I started baking before my eggs and butter were at room temperature – I simply couldn’t wait a minute longer!). But the lack of visual oomph is immediately forgotten upon first bite. 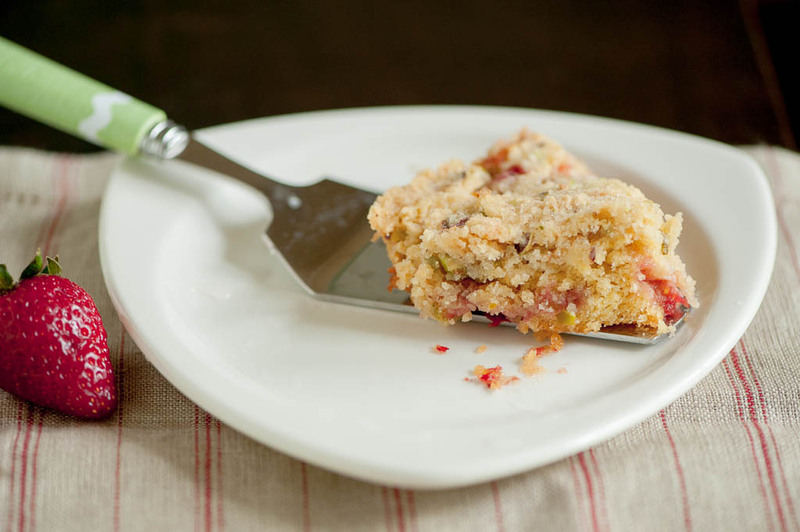 The strawberries are sweet and sauce-like, mingling with the pistachio streusel and delicious sugary cake. I anticipate baking this buckle several more times this summer – and one way or another, I will make the cake actually buckle! 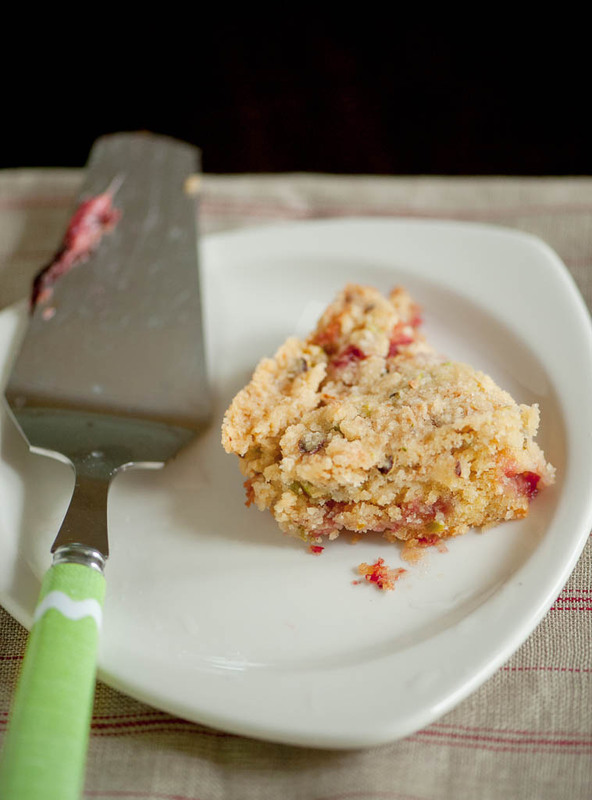 Make the streusel: Cut the butter into small chunks and let sit at room temperature for 5 minutes. In the bowl of a stand mixer fitted with the paddle attachment, combine the flour, sugar, salt, and zest. Add the butter and mix on low speed until the mixture resembles coarse sand, about 2 minutes. Then, add the pistachios and mix until the streusel starts to clump together (it should look like gravel, not dough). Set aside. Make the cake: Preheat the oven to 350º. Butter and flour a 9-inch springform pan. Sift the flour and baking powder in a small bowl. In the bowl of a stand mixer, fitted with the paddle attachment, beat the butter on low speed until smooth, 1-2 minutes. Add the sugar and salt and mix on low speed until combined. Scrape down the sides of the bowl, then mix on medium speed until light and fluffy, 4 to 5 minutes. 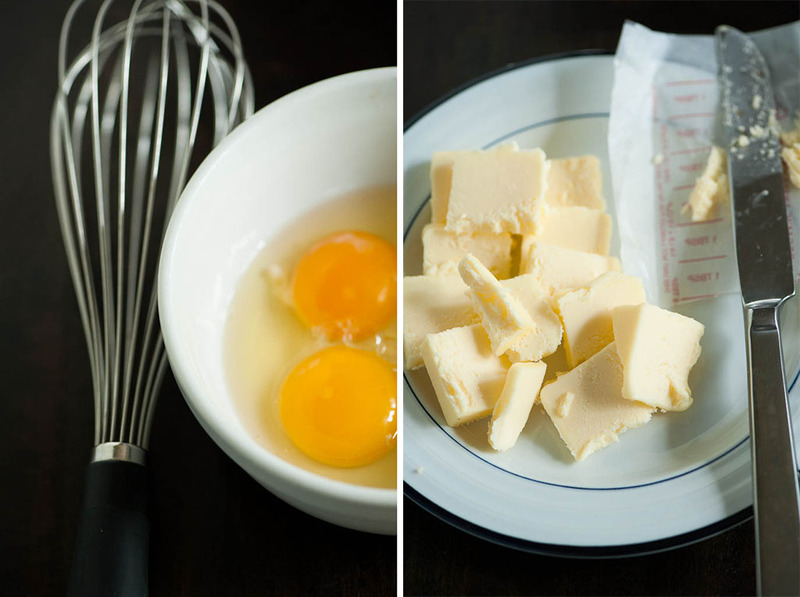 In another bowl, combine the eggs and vanilla extract, whisking until incorporated. With the mixer on medium speed, add the egg mixture slowly and mix until very smooth, 30 seconds or so. 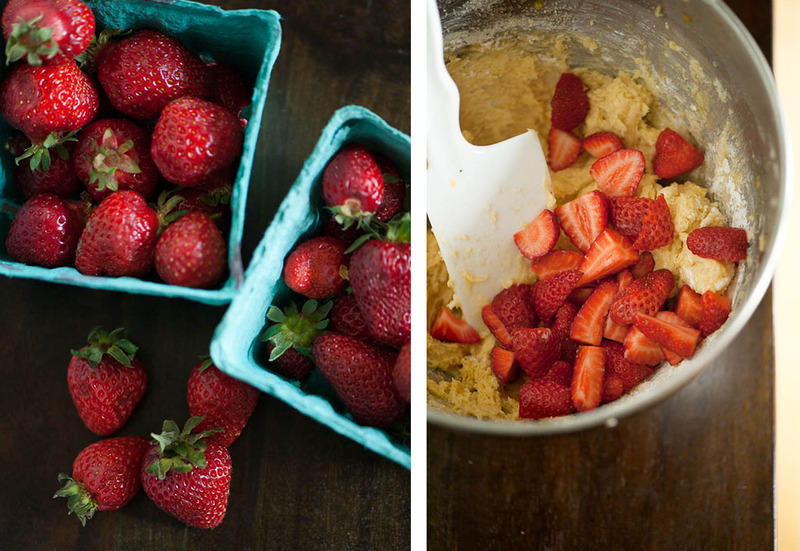 Scrape down the sides of the bowl and mix for another 30 seconds. Add the flour mixture. Mix on low speed until uniform in texture. Then use a spatula to fold in the fruit until just incorporated. Pour the batter into the springform pan, smooth the top, and then cover the top with the streusel topping. Bake for 55 to 60 minutes until the streusel is golden and the buckle springs back when touched. Rotate halfway through baking. Let the cake cool for 20-30 minutes in the pan and then serve warm or at room temperature. Enjoy!